Playing on home turf makes for a secure and special event, and after making the squad for the Centrinnians, this could be, roster permitting, my first ever home game playing for CCR. I joined CCR in September 2011 after moving away from my old league Middlesbrough Milk Rollers (whose relationship with CCR is kind of like the special relationship the UK and the US have, without the exchange of weapons and secret handshakes). Being a transfer skater is pretty daunting – you have to hit the ground running to learn new tactics, different names for drills, a whole new bunch of skater names/ real names – but as CCR is one of the friendliest leagues in the UK, it was pretty easy to settle in. 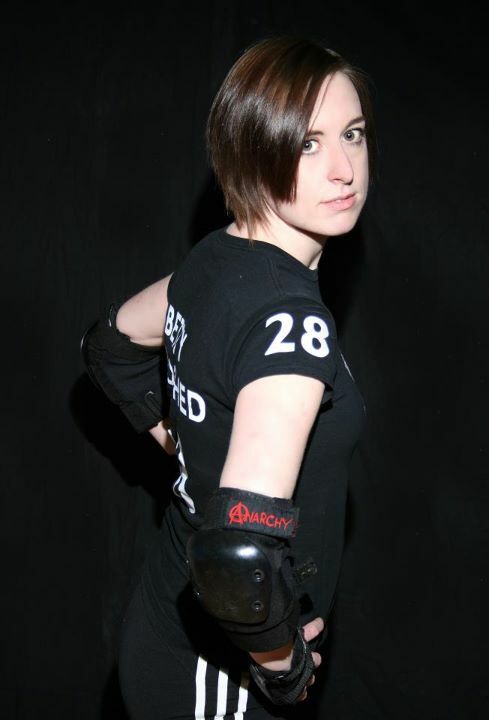 Six months on, getting a place on the Centrinnians means I have to prove I’ve got the chops to deserve my spot, and if I get to play ARRG on Saturday 10th March, it will be doubly exciting as they are the league I played my first closed bout against (they won, and were thoroughly lovely to us). In a general sense, what makes it an even bigger deal is CCR are facing their biggest opponents – Auld Reekie Rollergirls – who they have played five times before and are yet to beat them. A brief history lesson…pay attention at the back….back when roller derby was a completely different beast, CCR were the first league to play ARRG back in April 2009, when ARRG won 142 – 132 and the rematch in may 2009 was 175 – 124 in ARRG’s favour. They met again during the rounds at Roll Britannia in July 2009 (ARRG got through to the semi-final). In October 2010 at Stop Jammertime, CCR played hard but ARRG won with 73 – 59, and again at the 2011 Tattoo Freeze. It’s been a year since they have seen each other on track, and both have different line ups so how it will go is anyone’s guess, which should make for an exciting game. There is also another bout on the same day (value for money and top entertainment, you really are spoiling us..) with CCR’s Slay Belles taking on Manchester Roller Derby – last time during a nail-biting game in the North, CCR claimed victory with 92 to MRD’s 73. It would be safe to say that this bout is a pretty big deal, for me, for Betty, for the people who make up CCR, MRD and ARRG and for all league’s fans – it’s going to be a grand day out, so get your tickets before they sell out here.